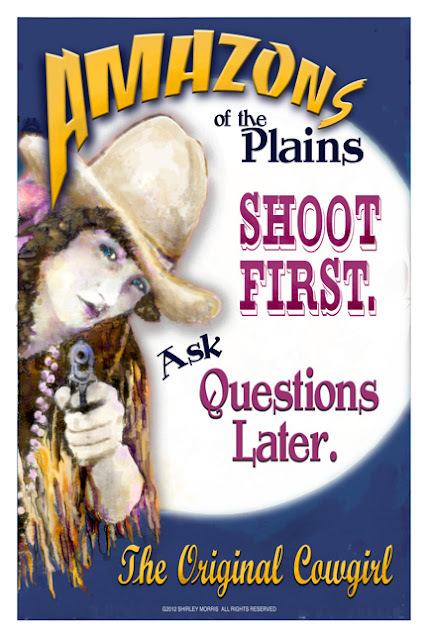 We all know they were writing dime novels about Buffalo Bill and many of the male western heros. But did you know they were writing many of those dime novels about the cowgirls - the Amazons of the plains even before then? 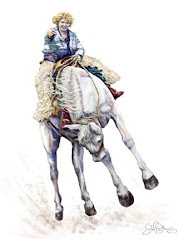 Eastern men trembled at the thought of running into one of these female warriors while on a journey west. They were said to be more dangerous than an indian war party and would shoot first and ask questions later. Many cowboys on the trail met their end to the cowgirl or ranch woman at the end of that trail because she thought he might be up to no good and a woman with a tarnished reputation had no future in the west. "Shoot first. Ask questions later" was a matter of survival for those women. 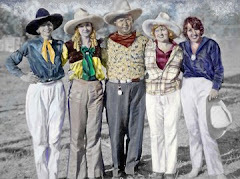 Come and visit my Zazzle store to see what is available featuring these earliest cowgirls of the west! Truth Seekers, Story Tellers, Filmmakers. Culture Unplugged Now Screening OYC! 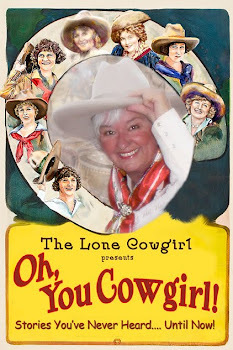 The documentary film, Oh, You Cowgirl! has been chosen to participate in the online film festival Humanity Revisited and Culture Unplugged. It is now screening for a limited time free. "We wish to build community that aspires further harmonization - not homogenization - of contemporary cultures, with objective to contemplate and contribute to transformation towards next phase in evolution - transformation that is of cellular nature. The primary means to achieve this is through creativity and its spiritual expressions. For this collective effort, coming together of institutions, individuals is a must." 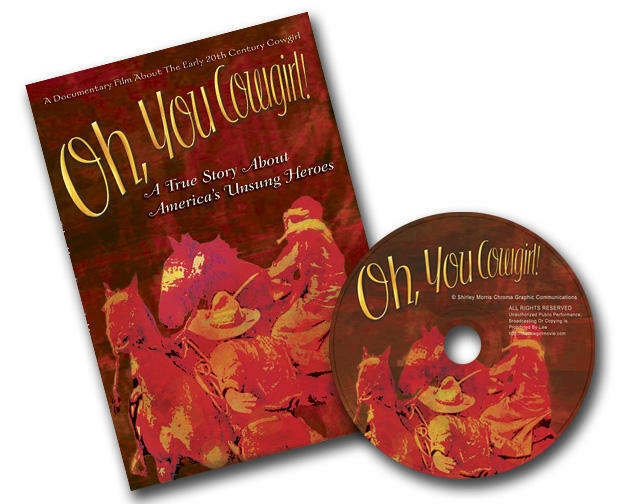 Here is a short synopsis of the documentary film, Oh, You Cowgirl! "Oh, You Cowgirl!" 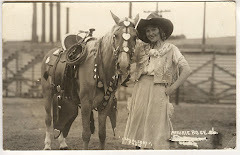 is an in-depth documentary film about the early 20th century cowgirls, the unsung heroes of the west. 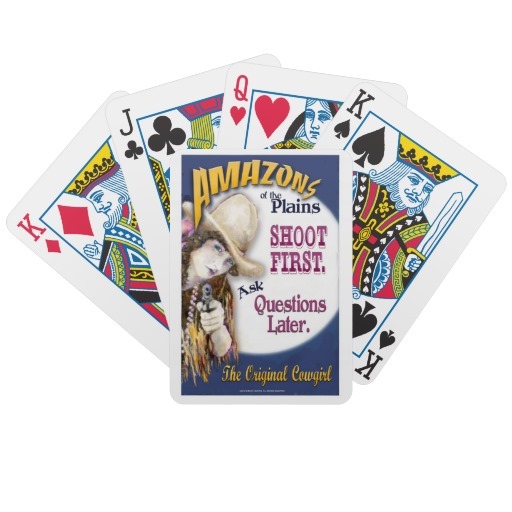 It is an honest-to-goodness cowgirl story that also reveals the truth about the legend and mystery of Prairie Rose Henderson. 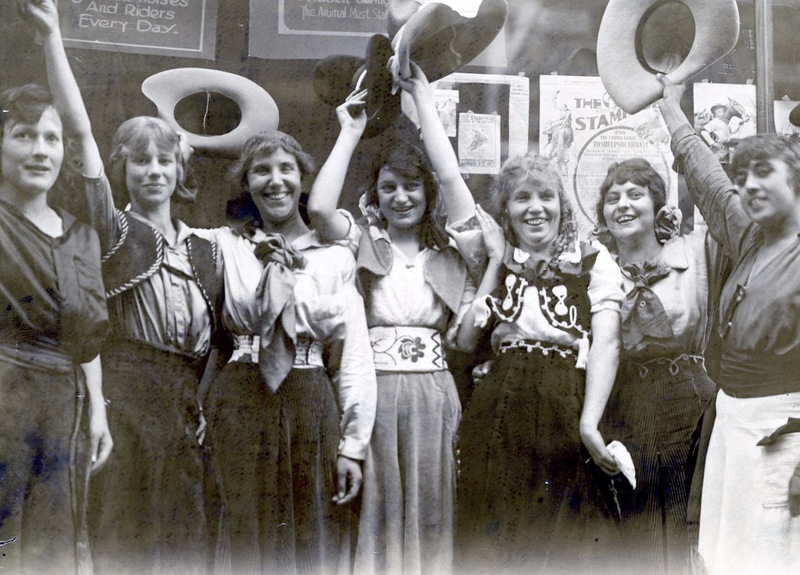 The film focuses upon the spirit and heart of the cowgirls of the wild west shows and rodeos, all champions, some coming from ranches in the west, some entertainers from the east, many giving up everything to do more than they "had a right to do." The impact these inspiring, courageous women had on history, and the significance of their invaluable contribution to our western heritage, has been overlooked for nearly one hundred years. It's high time their strength and character were brought into the light. "Oh, You Cowgirl!" was well received in the Culture Unplugged International Film Festival. Thank you for your participation. Diamond Kate Was Dynomite In A Small Package. When you hear the name Katie or Kitty Wilkes, you don't immediately think of this cowgirl as the womens saddle bronc champion of the 1915 Pendleton Roundup. She put on a good exhibition, rode hobbled and competed with some of the best riders of the day, Ollie Osborne, Princess Red Bird among them. 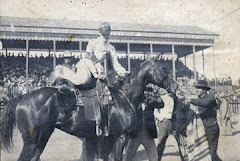 She won at Pendleton again in 1918 for the relay race event and married Yakima Canutt. 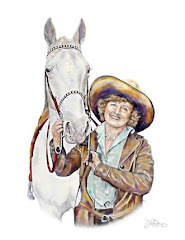 What Kitty Canutt will most be remembered for is her tumultuous relationship with the champion cowboy. Kitty sported a diamond set in her front tooth and during hard times, she and Yak would hock it to make ends meet. 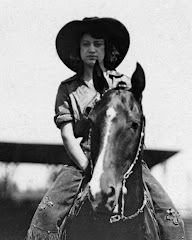 Things changed for Kitty and while she could ride and tame any bronc of her time, she couldn't tame the green eyed monster of jealousy once married to the charismatic cowboy and movie stuntman, Yakima Canutt. 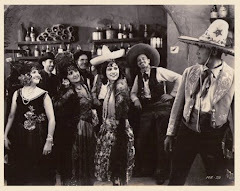 Yak started out as a rodeo cowboy but left for Hollywood after a chance meeting with Tom Mix. He soon found himself doubling for actors like Clark Gable and John Wayne in silent westerns. His stunts are now legendary and he invented many of the stunts he would perform. 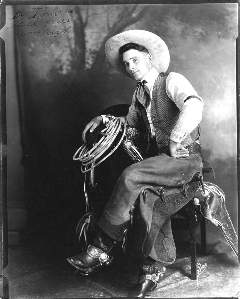 Yakima Canutt was named World All Around Rodeo Champion in 1917, 1919, 1920 and 1923 and was inducted into the Rodeo Hall of Fame in 1975. 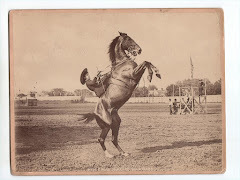 He and John Wayne created a new technique for filming screen fights more believably and by the 1930's, Canutt was known as Hollywood's premier stuntman. In 1966, Yakima Canutt was honored and awarded a special Oscar for his contributions to film. The marriage with Kitty was short lived and Yak tired of dodging knives and bullets. He said "Kitty shot a lot but thankfully, she wasn't a very good shot." 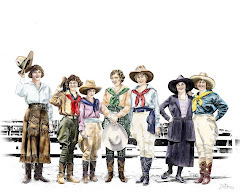 Here is just a small sampling from the introduction to my new book based upon the women and cowgirls of the early wild west shows, circuses and rodeos. If you would like to be notified when the book is released, please email shirleymorris@thecowgirlmovie.com with your email address and I'll make sure you're the first to know. It was a wide, brown ‘n yellow place. Flat, with the ‘seption of a wood outhouse and the soddy pa built, made of the earth and wheat grass bricks that he cut to size with a grasshopper plow. Lumber was used on the roof, a window and the door. The lumber had to be brought in by pa and the other homesteaders and he treated it same as if it was gold. More ‘n naw you could pick out the dark outlines of two, three Indins on that cold, frozen prairie before the sun come up in winter. They bothered me not, but ma prayed for us and pa, bein’ a missionary, took it as his God-given duty to convert their heathen souls for the Lord. You know what I think? All those Indins who saw the light in pa’s words became whiter than they was red. And our neighbors rested the easier ‘cause of my pa and his words from the Lord. I was always up before first light. Pa didn’t get his self a son and I was pitiful sorry for him so, I just picked up an learnt what that boy woulda had to do. 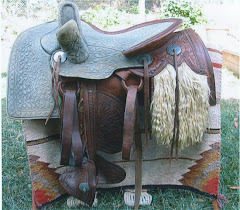 Some girls woulda yipped an howled like a coyote pup but not me – I took to ropin’ and docterin’ and gentlin’ range ponies like it was some treasure I’d-a earned myself! An you know what? Pretty soon all the neighbors who were provin’ up all ‘round us learnt than I could gentle those little wild ponies and they started payin’ me a sum to gentle theirs! On the days I had myself a good wild bunch, seems they’d come from miles ‘round to watch me ride the beasts and sometimes get pitched high to the wind but I was always back for more. Soon enough, I stuck to that hurricane deck and didn’t get pitched so much. My backside was much obliged. Ridin’ those wild, beautiful babes of the prairie became a part of my God-given soul and I found I liked the yips and hoorahs from the crowd as they watched me bring another pony to my own version of heaven. Down the road, one morning, in my mind, I asked ma and pa for their forgiveness an’ I ran off to join this little two bit wild west show and circus that come to town. I had to go. God forgive me, I found my life. My name is Prairie Rose Henderson. Don’t you go believin’ anyone who says otherwise! Set a spell. I have a story to tell. At the turn of the twentieth century it wasn't uncommon for women to run away from their homes in the city and run off with the many circuses, wild west shows and carnivals that traveled the country by wagon and train. Some had real athletic talent and a penchant for performing before a large crowd and eventually would become a star, boasting her own headlined act. 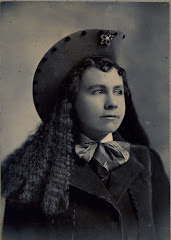 Prairie Rose became a star with Barnum and Bailey as a rosin back rider and later would head up all the cowgirl acts with her own featuring her riding skills aboard a "wild bucking broncho." 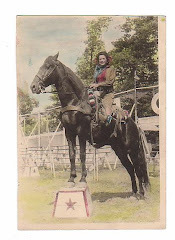 She would go on to ride in rodeos and wild west shows from coast to coast. 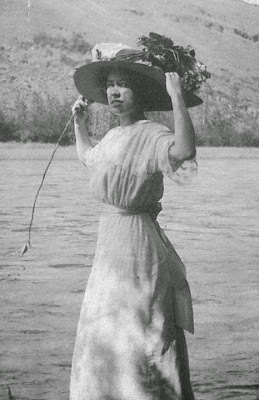 Some women would follow in the Prairie Rose's footsteps and join traveling shows as they came through their cities and towns. Some of these women just wanted a change, a new freedom that was not available to women of that time. 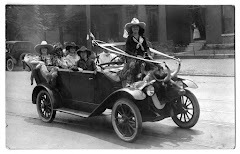 Women who were wives in a pre arranged marriage, like another of the Prairie Rose characters. Other women found the courage to escape from the mundane existence from life on the plains with no neighbors around for miles. They would leave with no promise of any kind of future other than it had to be better than the present they found themselves running from. Some women escaped abusive husbands who took the ruling of a judge regarding the old saying, "Rule of Thumb" stating it was fine and acceptable to hit your wife, your property, to keep her in line so long as you beat her with a stick no thicker than your thumb. And then there were those women, who found themselves leaving behind quite respectable lives as school teachers in search of a community that offered greater individual freedoms and possible monetary rewards if they were talented enough. Women school teachers were severely restricted in their appearance and behavior. Take a look at the rules of behavior for a school teacher in 1915. You can bet I would have joined these women in their quest for greater freedoms. Who knows? I might have even rode a wild, man eating, pitching, snorting bronc myself once or twice. Or at least until I broke my neck, whichever came first. 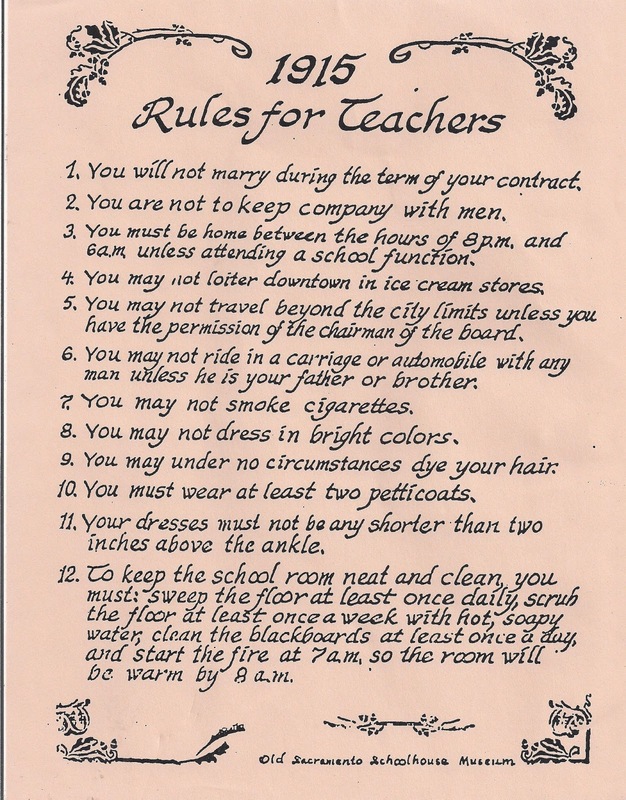 Thanks to Old Sacramento Schoolhouse Museum for the great graphic Rules for Teachers. My grandmother and her twin sister were born on a ranch homesteaded by their grandfather and grandmother during the Oklahoma land rush. Life was harsh but to hear my great aunt and grandmother speak of it, there was joy, love, freedom and much to be grateful for. The following poem has always been in our family album. The edges of the printed piece are old, worn and yellowed but it describes perfectly a day in the life of these gutsy, tough women who helped settle the west. 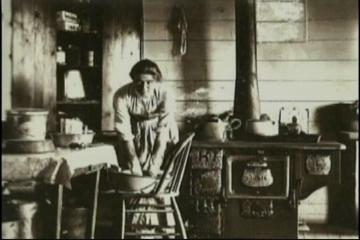 It is estimated that approximately 12% of all homesteads were proved up by single women. While women in the east were fighting for the vote and the rights provided to all men in this country, women in the west were showing proof that we should have the vote, equal rights and we did, indeed, deserve those liberties. These women were able to say by example, "Look at our lives and what we do if you doubt our worthiness as full and responsible citizens. This was the poem my g-grandmother passed down to her daughters as a reminder of all that was valuable and true in her day. enough to fill a kitchen bin. and afterward, she washed the dishes. to mark the end of a perfect day. On The Road With "Oh, You Cowgirl!" 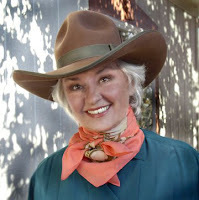 Filmmaker, Shirley Morris stated her goal for her documentary film, "Oh, You Cowgirl!" was to make sure the history of the early twentieth century cowgirl was never forgotten again and would be shared for many generations to come. "Oh, You Cowgirl!" is on the road with the Whistle Stop F.I.L.M. Festival - Next stop, Wyoming, Platte Valley and the Grand Encampment Museum. Right Now:The Whistle Stop F.I.L.M. Festival is coming to the Platte Valley! The first night of the festival will begin at 4:30 pm Thursday, October 25th, with a pre-movie social at the Saratoga Resort and Spa followed by the films “Gambling for the Future” and “A Land Out of Time”. “Gambling for the Future” focuses on the Wind River Casino and its focus on the economic development of the Wind River Indian Reservation. “A Land Out of Time” features Carbon County locals and is about oil and gas development in the West. The second night of the WSFF will start at 5 pm at the Grand Encampment Museum with the film “Oh, You Cowgirl” and will be followed by “Merritt”; a western version of Shakespeare’s “Hamlet” written, performed, and directed by the Encampment 9thGrade English Class. 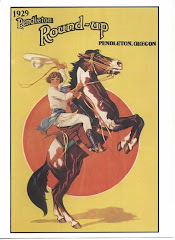 “Oh, You Cowgirl” is a film about the culture of the cowgirl and the legendary Prairie Rose Henderson. Discussions will follow all films. 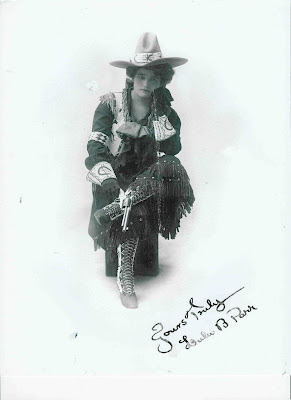 Lulu Belle Parr was one of the earliest cowgirl stars and worked as a professional cowgirl saddle bronc rider for Buffalo Bill. 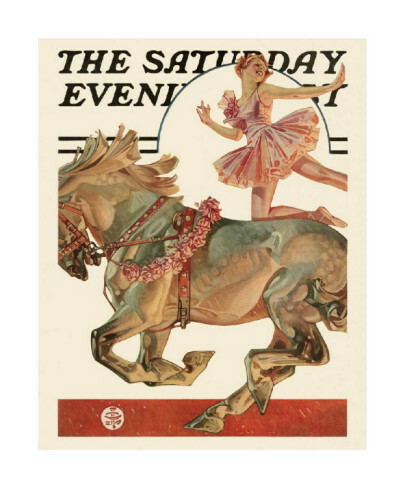 She was a flamboyant entertainer and while riding a bronc with hobbled stirrups, Lulu would smile and wave her hat at the crowd. which she knows will quite suffice. 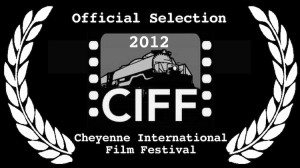 Cheyenne International Film Festival Features OYC! The Cheyenne International Film Festival closes on Sunday May 20th with a screening of “Oh, You Cowgirl” and a short called “Shy Ann from Old Cheyenne” at the Atlas Theatre. The program is a Call2ACTion in collaboration with the Cowgirls of the West Museum. Doors Open 6:00pm with a Filmmakers’ Reception – Music by the Peat Bog Mysteries and food by Nana’s House. For the first time in history this true story unravels the mystery of the greatest untold legend in the west, Prairie Rose Henderson. Stories and books said she died in a blizzard and her bones weren’t found for another seven years. Find out who the Prairie Rose really was and why she had to leave her legacy buried in a Wyoming blizzard. The film focuses upon the spirit and heart of the wild west show and rodeo cowgirls. The impact these women had in history and their contribution to our western heritage has been overlooked for nearly one hundred years. Take a ride with the unsung heroes of the west! Prints by artist and filmmaker, Shirley Morris are available for online sales at Fine Art America. You can choose the size, matting and framing for your art. 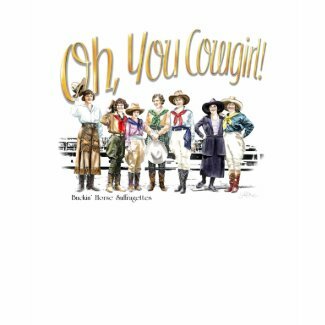 Great gift for the cowgirls in your family. Click on the slideshow to be taken to the website. Pichandle didn’t mind at all doing chores for Miss Dolly. He knew she would repay his efforts with her baked goods and that was better than any amount of money. He smiled wondering what kind of 'chore' she would come up with to justify her fine gift of warm bread and muffins. Pichandle looked back toward the reflection in the window of the almost fifty year old woman affectionately. She had always treated him fairly and with the kind of respect usually reserved for workers of much higher stature. But then, that was simply her nature and it didn't matter who she was talking to, she always had a smile in her voice. Dolly closed the window tightly and walked over to the square wooden table in the middle of the room. Pulling out a heavy wooden chair, she sat down and moved the large yellow mixing bowl over to the side. Hoping to ease the pain of age and years of youthful abuse, she cupped her hands around a badly swollen left knee rubbing gently, but as usual, the pain persisted. She read it again and again. God willing she would somehow believe it. She could feel her racing heart all the way up her neck and down into the tips of her fingers. Closing her eyes tightly, she held the paper a moment longer before returning it to the table. Gently placing both hands upon the story Dolly covered the black words, so exposed upon the stark, white sheet of newsprint. She sat quietly, barely breathing. Finally, resurfacing from oceans of thought, she gasped and captured a long, deep breath of warm air. Everything that meant anything to this woman was there at that moment; her husband, Col. Jim Eskew, sons Junior and Tom, the ranch, the show – everything she loved, everything important. All she and Jim had worked for in a lifetime. Recalling all she had surrendered, left behind in the past, she cloaked herself in the wonderful baking aroma, the smell of home, the light that filtered into her soul from the golden morning sun, streaming into the kitchen. Somehow, this sanctuary offered safety and permission to raise her closed eyes and move deep into a memory hidden long ago. A faint smile lifted the corners of her lips and just like that, she was away in another time, another place, another life. The woman known as "Prairie Rose Henderson" had been born in 1875 in Nebraska, Lillian Rosetta White. She had always used her middle name, Rose, and liked it better than her first. At her fathers insistence, she married a blacksmith, Ira Mealman, a Swedish Immigrant who spoke little English and the couple had two children. Her youngest child died in childbirth and Lillian decided she could no longer stay in a loveless marriage. She gathered her five year old daughter, Daisy, and left to join her married sister, Hattie in Colorado. 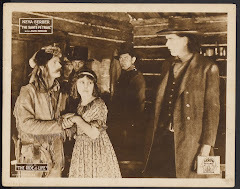 It was in Colorado she met a cowboy by the name of Tom Henderson. 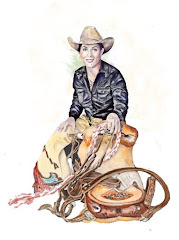 He told her she could make some money, good money, enough to support herself and daughter, if she were willing to get on the back of a buckin’ horse and stick for just a few seconds. 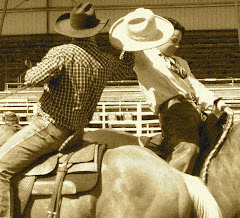 “It’s not that hard, Rosey, we’ll tie your stirrups and with hobbled stirrups, you won’t be goin’ nowhere ‘til the pickup man comes to get ya.” Tom thought for a minute and realizing she was a divorced woman, unchaperoned, traveling alone, she may have a problem gaining admittance as a rider in the show. It was a common problem and good heartedly suggested they become “married” for the sake of the towns folk who objected to loose women and poker. 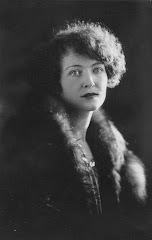 The name stuck and Rose Mealman, by way of jumping the proverbial rodeo marriage broom stick became Rose Henderson for the rest of her professional career. 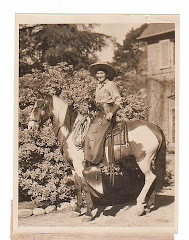 Much to the consternation of Tom’s true wife, Maude Tarr, another rodeo cowgirl. 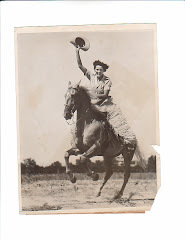 Rose found she loved the thrill of riding saddle broncs and became quite good at it. 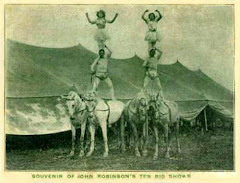 There weren’t many rodeos at the time but there were scores of wild west shows and circus’ and she had no problem finding work. 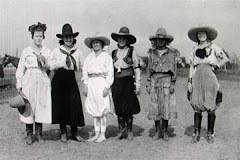 She was hired as one of the cowgirls for Irwin Bros. Wild West and C B had a habit of only hiring the best cowgirls; Ollie Osborn, Fanny Sperry Steele, Goldie St. Claire, Fox Hastings, and his own expert cowgirl daughters, Pauline, Joella and Francis. Rose not only found fame and fortune with Irwin Bros. Wild West, she found her husband, cowboy and ranch hand, Jimmie Danks. The cowboy and cowgirl were married in Nebraska in 1908. 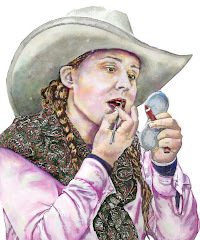 But Rosie Danks was getting older and the crowd demanded pretty, feminine cowgirls. 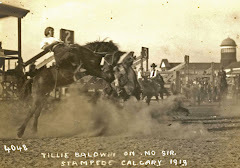 C B obliged them and produced just that, the perfect cowgirl.... just like Miller's 101 Wild West, the women of Irwin Bros. Wild West were ".... Ranch born and bred - right off the range." They were tough as nails, able to ride any unrideable bronc and they could rope with the best of the cowboys and go home, fix dinner, do all the mending, feed the chickens, tend to the children and look beautiful and feminine for the lucky cowboy who roped her and made her his wife. The Prairie Rose, C B Irwin's creation of the greatest cowgirl of them all was all of that. It was time for Rosie Danks to think about going home to the reality of being Jimmie Danks wife and Daisy Mealman's mother. Dolly Michaelis posed in the middle of the arena for all the newsmen and rodeo photographers. A German immigrant and runaway from Pennsylvania, she embraced the persona of “The Prairie Rose”. 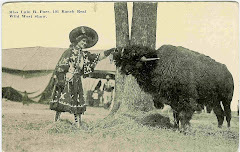 Before joining Irwin Bros. Wild West Show, Dolly learned to ride rosined horses and became a ménage rider before becoming a headliner and star for the stage production “Young Buffalo”. 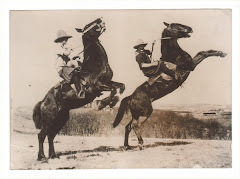 She told the newsboys what they wanted to hear – all about her ride on the bucker Gin Fizz and offered advice to American women in the process: “Riding is good for you and will help you keep a glow to your cheeks and your girlish figure.” The newsboys wrote, “ Prairie Rose is beyond a doubt the most fearless lady rider in the world. Dolly smiled as Ralph Doubleday told her to look into the camera and show America who “the sweetheart of the rodeo” really is. 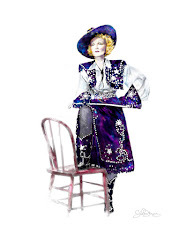 Her costume was unlike anything anyone had ever seen, soft velvet cordouroy with sequins, Maribou feathers, Mink and the largest, most flamboyant Sombrero-like Stetson hat anyone had seen. Her smile was wide and inviting. 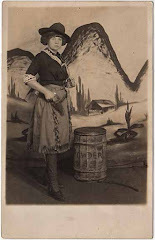 Her eyes danced as the newsmen and photographers asked their questions and camera’s captured the image of what America wanted and needed to see, a very feminine, perfectly coutured young woman exhibiting the strength and courage of the western cowgirl. 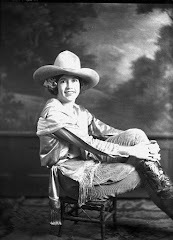 Dolly Eskew, the most famous of C B Irwin's character, 'The Prairie Rose' returned home for good in 1924 to help Col. Jim Eskew make the JE Ranch Rodeo and Wild West Show the largest rodeo and wild west show east of the Mississippi. Dolly would become instrumental in helping women realize their passion as bronc riders and rodeo performers for another generation to come. 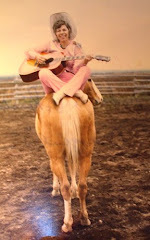 The Legend and Legacy of the Great Cowgirl, Prairie Rose Henderson. Turned left at the fence, can't tell you why. That ol' sun never lies, I knew it was noon. Throw hooves to the wind, delighting in their dances. What stories, just begged to be told. 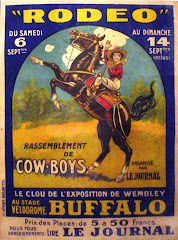 The Buckin' Horse Cowgirls were there! She said, "Yes, I'm a cowgirl - a bulldogger too!" I found out later, her name was Claire. Someone yells, "Claire Belcher I challenge you! Why, It's Fox Hastings sitting next to you! 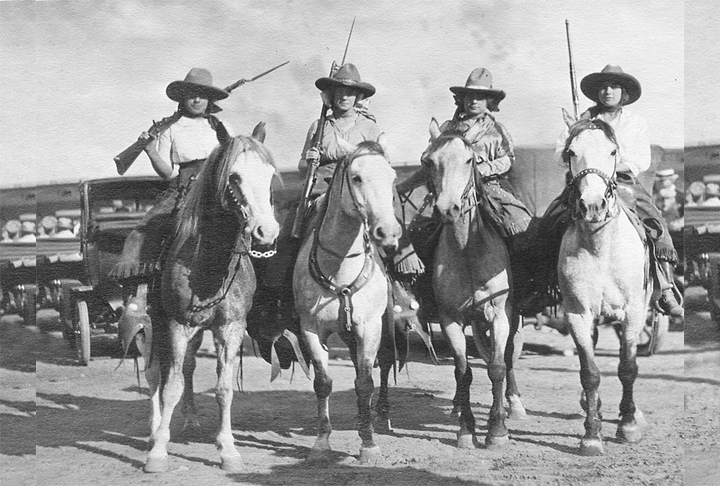 They were bulldoggers you know, cowgirls extraordinaire. "I'm much more than a pretty face"
Woolie chaps to satin and lace. All the girls are with us now! Bertha says, "Bonnie, I always rode slick." Saying "Shirley, you have to hurry up!" To watch the cowgirls story tonight"
"We're here Shirley, to make sure you got it right." 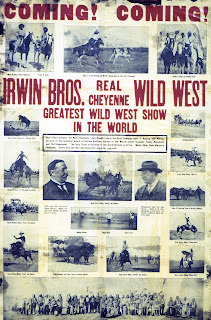 This is one day in the life of Charles Irwin and Irwin Bros. Wild West Show. ©2012 Shirley Morris All Rights Reserved. Charley Irwin set the empty coffee cup on the wooden table in the large kitchen and walked down the long hallway to the living room. Rich, dark, wood planked walls warmed the room. Continuing to an enormous chair, generous enough for three average sized adults, he sat down, filling more than half the chair with his larger than average body. C B nodded, smiled back at Gladys, looking out the door to see if anyone else was with her. “Hey, where’s your mother? She is riding into town with you girls today, isn’t she?” His baritone voice booming up the stairs, catching Gladys mid-stride. All the Irwin women would be riding the 40 mile trip from the Y6 to the city house in Cheyenne. “Yes sir!” Her voice dropped off as she ran up the stairs and into Pauline’s room to the right of the landing. All four girls were talking at once, making it impossible to know what they were saying but the timber of their voices made it clear, excitement was in the air. It wasn’t an unusual occurrence to hear that screen door open and slam shut and, more times than not, Gladys Irwin would be rushing through, ready to run upstairs to share some secret or important news with her cousins. Gladys was Bill and Margaret Irwin’s daughter. 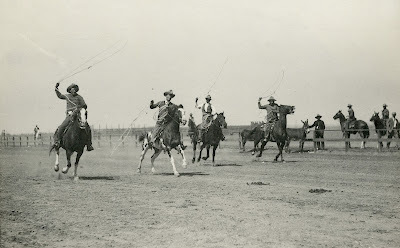 They lived on upper ranch and Bill saw to the daily duties of the Y6, the 10,000 acre ranch owned by Charles and Etta Irwin. 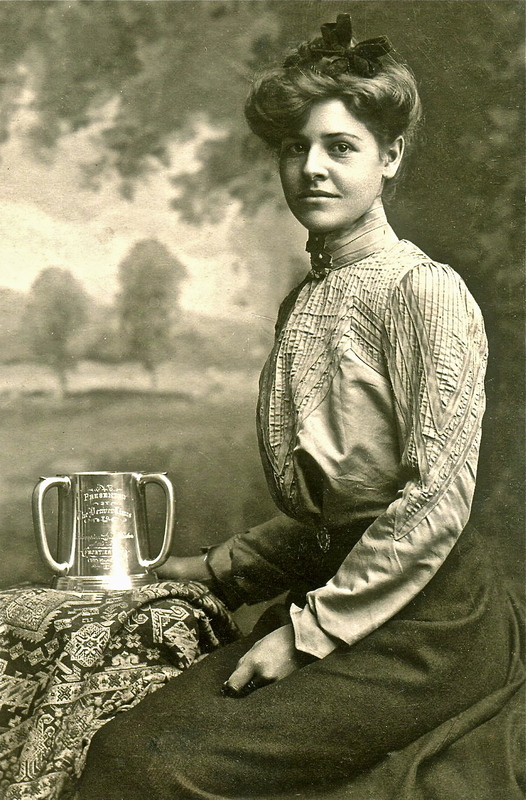 Margaret was the first woman to win the Denver Post cup for the women’s relay at Cheyenne Frontier Days. C B never intended to become and remain a cowboy his entire life. It had become his dream to be a cattleman with a large ranch. Once he had accomplished that, he became restless and in 1910, partnered with local businessman, Charles Hersig to form the Irwin Bros. Wild West Show. 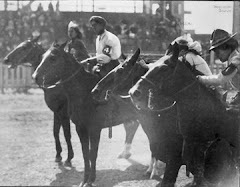 At that time the difference between a rodeo and wild west show was miniscule and he had everything needed to make Irwin Bros. the best show ever - Cossacks, the most talented cowboys and cowgirls in the west, Indians, mean, unrideable broncs like Steamboat, and an entire family of rodeo champions! C B waited impatiently for his son Floyd and stock manager, Clayton Danks to get their horses saddled. Finally, he saw Clayton coming from the barn. 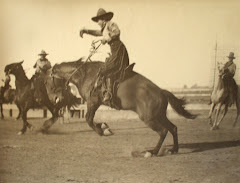 Charley didn’t wait for the cowboy to get up to the ranch house, he bolted from his chair and in three large steps, bounded down the porch moving quickly toward his saddled horse. Leading the cowboys, the agile giant charged off past the barn, heading east to Steamboat Rock. It was time to round up the wild one’s, the outlaws, this year’s cream of the crop and head them in to Cheyenne. This year was special. President Taft would be the guest of honor. 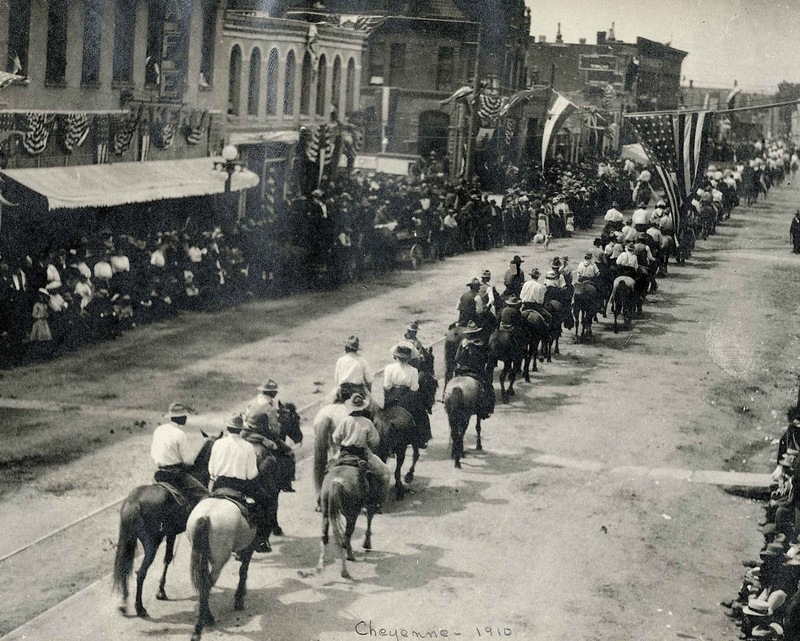 They would ride into Cheyenne, straight down Eddy Street where the stockyard was, next to the barn and cookhouse. Across the street was the city residence of C B and Etta Irwin, 2712 Eddy Street. Etta would start cooking before the men reached town and the aroma of Etta’s fried chicken and biscuits would usher them into the cookhouse. Her cooking was legendary. It didn’t matter if the show was at home or on the road, Etta cooked and it was most appreciated by all. The cookhouse boasted several tables, the Irwin family table and several others for the cowboys and anyone else who could use a meal. No one was ever turned away. The show always started with a parade or quadrille to show off the many stars ready to thrill the crowds. 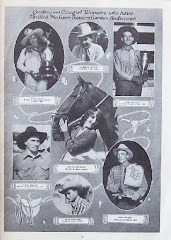 The show roster read like a who’s who of cowboy stars, Frank Carter, Floyd and Charles Irwin Jr. (better known as Sharkey Irwin) Hugh Clark, Clayton Danks and Be Ho Gray. 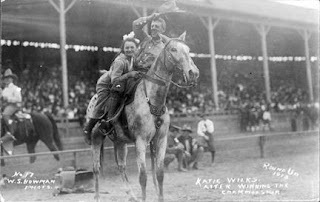 Among the cowgirl stars were, Prairie Rose, Joella Irwin, called the best rider he had ever seen by Teddy Roosevelt, Pauline, Gladys and Frances Irwin and champion bronc riders Fannie Sperry Steel, Fox Hastings and Goldie St. Claire. 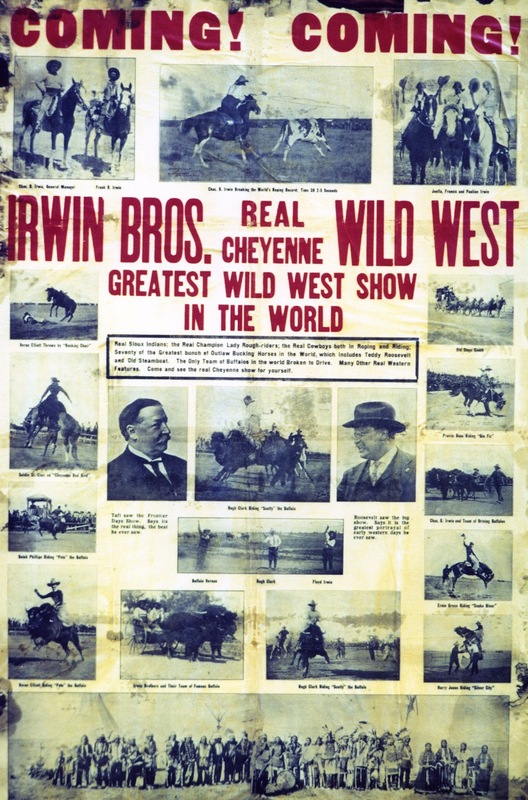 C B Irwin took the one and only, real life event, Cheyenne Frontier Days and made a show to tour the country and thrill audiences from coast to coast; Irwin Bros. Cheyenne Frontier Days Wild West Show. 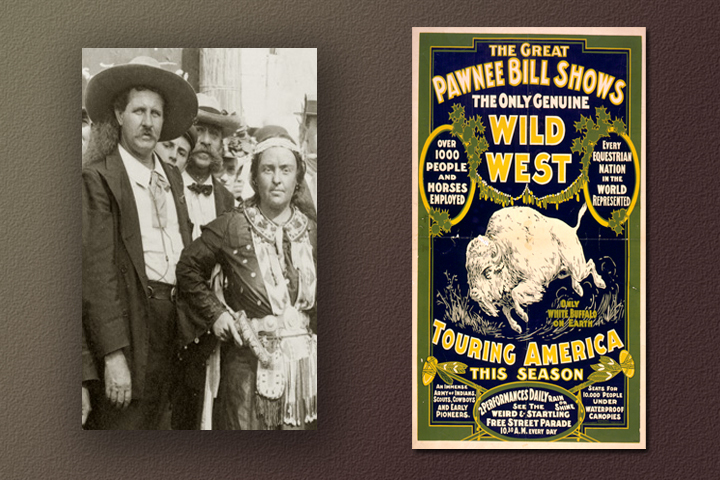 It was a time before cameras, television, sports programming and Irwin instinctively knew that people across the country would come in droves to see what was really happening out west. 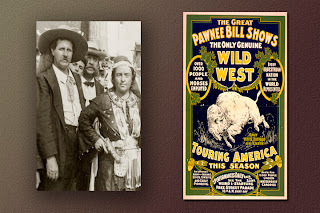 He was right and people came by the thousands to see the real deal in Cheyenne, Pendleton and Los Angeles after seeing his show.